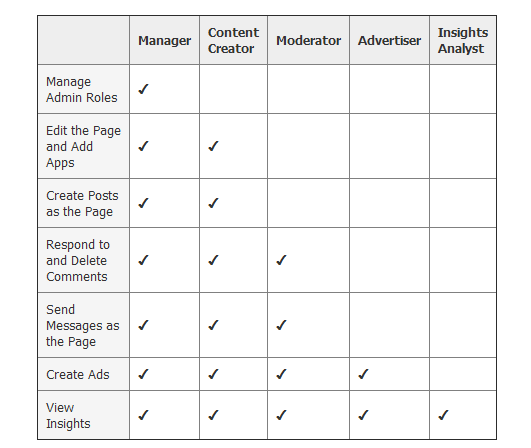 Businesses with Facebook Pages can now set five different roles for their administrators: Manager, Content Creator, Moderator, Advertiser and Insights Analyst. 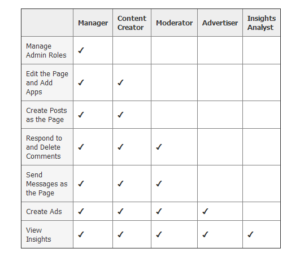 This is a useful tool for Facebook managers. 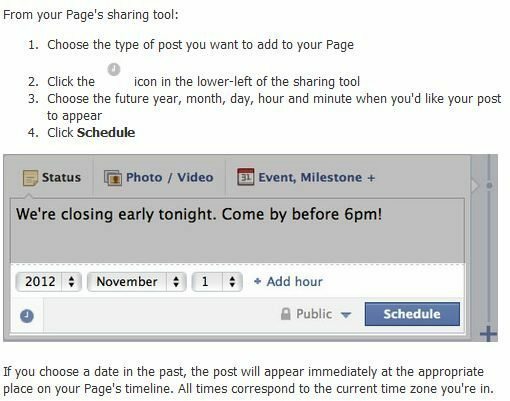 Facebook’s scheduling tool includes the ability to add dynamic links and images directly to your Facebook Page. 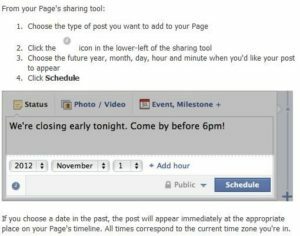 You can prepare a post and schedule it to appear later by adding a date and time in the future before you post it. Other schedulers I’ve tested do not do a good job of including these features, so this is a big improvement. I tested the Facebook scheduler today and found it to work very well. This makes it easier for marketers to expand the reach of their posts.Promoted posts are a simple way to reach more of the people who like your Page and their friends. Marketers can set a budget as low as $5 for the promoted post; the price varies depending on the size of the brand’s fan base. The budget is for the lifespan of the ad, not a daily spend. Marketers can promote a post for up to three days after the original post was created. They can also “pin” the post to the top of their page—rather than have subsequent posts appear at the top of the page—for that time period to increase the post’s visibility. Facebook had introduced these tools to be very user friendly. 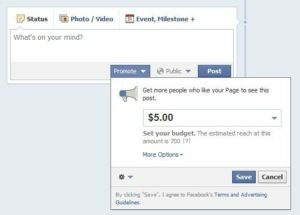 The tool is the latest way Facebook is seeking to strengthen its advertising formats. Earlier this year, mobile ads were introduced and last month the social network rolled out new tools in its Ads Manager tool, as well as a simplified ad buying tool.